Beneath Hill 60 Blog: Armistice! - Production in Townsville is finished for Beneath Hill 60. Armistice! 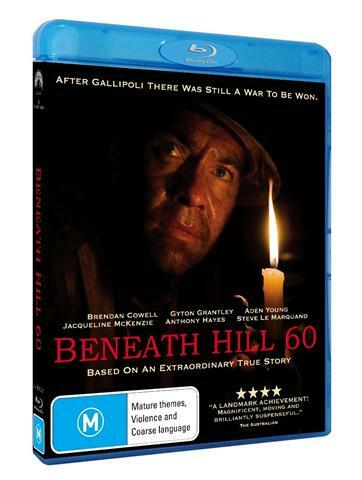 - Production in Townsville is finished for Beneath Hill 60. We have now sadly finished Production of Beneath Hill 60 in Townsville - after 40 days and 40 nights of shooting in the mud, in the dark, in the heat, in the wet, in the moonlight, in the tunnels and in the trenches. Our Art and Construction Departments had the tough job of deconstructing the set, filling in the trenches, bunkers and shell holes out at Shane and Kylie Poole's Kelso property, as well as dismantling the tunnel system and packing away the props. Seems like only yesterday we were standing on this exact spot, marking out the land with spray paint ready to beginning excavating the trenches. 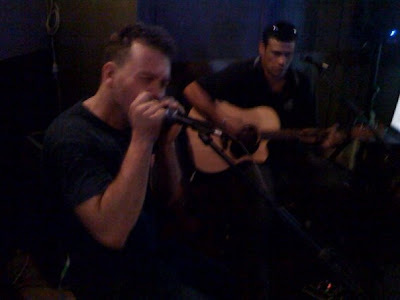 Here is Shane Poole (owner of the property) with Art Director, Sam Hobbs, out at Kelso, now all cleared out and filled in. It's hard to believe it was a war zone only a week ago! 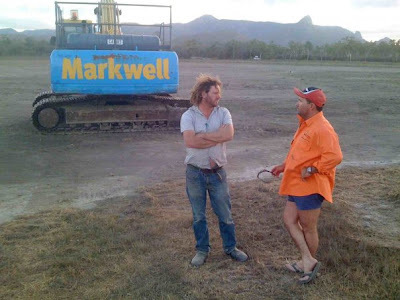 Gavin Markwell supplied the Excavator that was firstly used to dig the trenches and lastly to fill them in again. As for the left over explosives, why not have a bit of fun and let them off for an impressive atmosphere out in No Man's Land, strategically timed to coincide with a visit from Ray Martin and the 60 Minutes team for their story - at a safe distance of course! Ray looked very heroic marching across the battlefield with explosives erupting behind him and smoke trailing across his path. It's certain to be a fantastic piece which will be screened on Channel 9 in a few months. 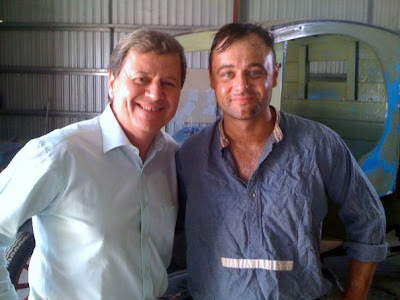 Here's Ray with Gyton Grantley after their terrific interview. 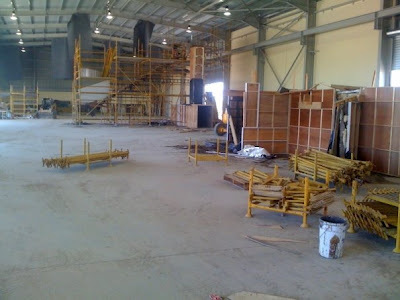 Everyone has been packing away their equipment - the lighting rigs, the moonbox, the cables, the cameras, the scrims, the Unit trucks, the Special Effects gear, the Sound Equipment, the Costumes, the Makeup truck, the props - slowly and carefully as everything is covered in a fine bulldust. The cars and trucks all had to be given more than one hose down and everyone's boots are well and truly caked in mud. There was a lot of cleaning and washing to be done! One thing's for certain - everyone's going to miss Cookie and Louise's delicious catered lunches everyday! Everyone was sad to leave Townsville, the friendly and hospitable locals, the perfect weather and saying goodbye to newly made friends from within the Beneath Hill 60 family. 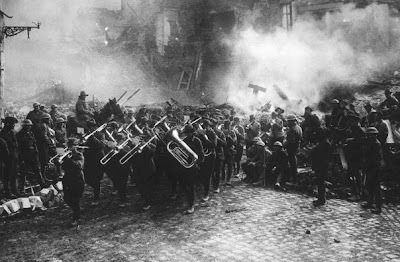 And so this was the 'Armistice' of Beneath Hill 60 in Townsville, celebrated with a Wrap Party at Greg Rains' Exchange Hotel. A wonderful time was had as cast and crew got together one last time for some food and beers, dancing and music and to say goodbyes to comrades from the 'Western Front'. ... performed by Alien 8 (below) - these guys got everyone up and dancing and tapping their feet! We are now embarking on 15 weeks of Post Production, during which our editor, Dany Cooper, and a fantastic team of editors, graders, Sound mixers, Visual Effects supervisors at Cutting Edge Post in Sydney will turn the rushes of Production into the finished product: a 100 minute feature film. Very good and usable post. Thank's to share your experience with us. I will try to remember these tips in my blog commenting task. safety equipment townsville Townsville based suppliers of quality safety equipment, safety systems and safety training to refineries, councils, mining, authorities, construction and other industrial sites.